Ole Time Barbecue in Raleigh, N.C. There was a time when barbecue restaurants were simple concrete buildings on the side of the road. Some had dirt floors, others had tin roofs, but they all had a counter where you could eat and a few picnic tables outside under a big shade tree in back. 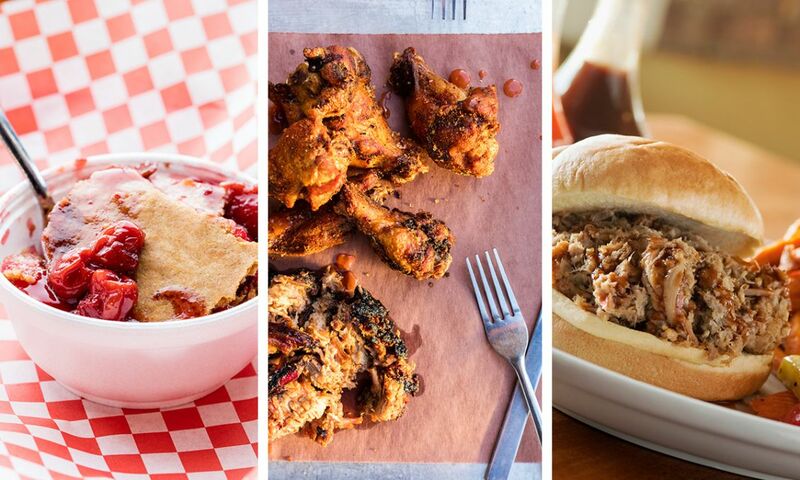 Ole Time Barbecue has the look, the feel and the menu of one of these old-school barbecue shacks but with the convenience of being able to pay by card. 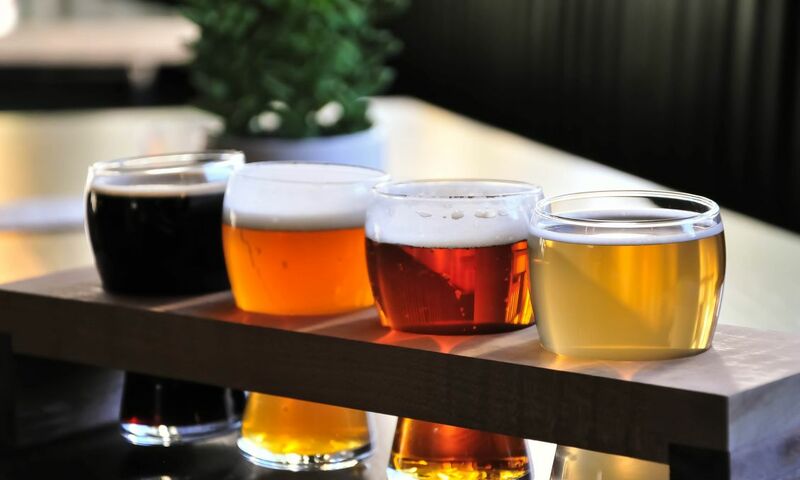 In the parking lot—which is crowded no matter what time you stop by—you’ll get a whiff of smoke and barbecue that only intensifies as you step inside. 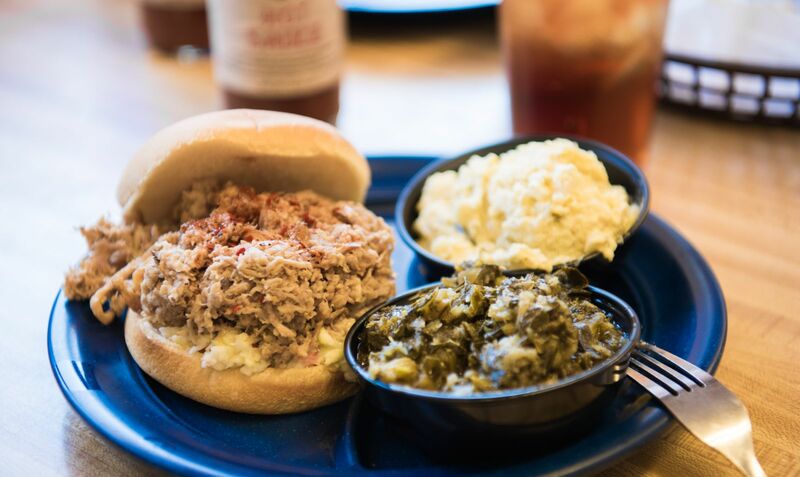 Squeezing into one of the dozen or so tiny booths or one of the six counter seats, you’ll find the room is packed with hungry diners, and the air smells like a delicious combination of smoky pulled pork, fried chicken and collards ready to be devoured. 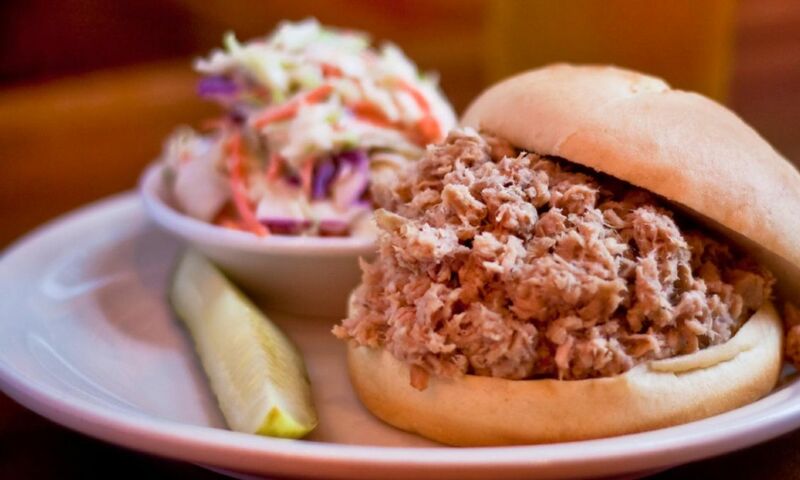 At Ole Time Barbecue, a sandwich alone will set you back $4.25, but if you’d like a pulled pork sandwich, a side and drink, that’ll be $6.99. Fried chicken’s only $8.99 for a half-bird. But what if you’re really hungry? 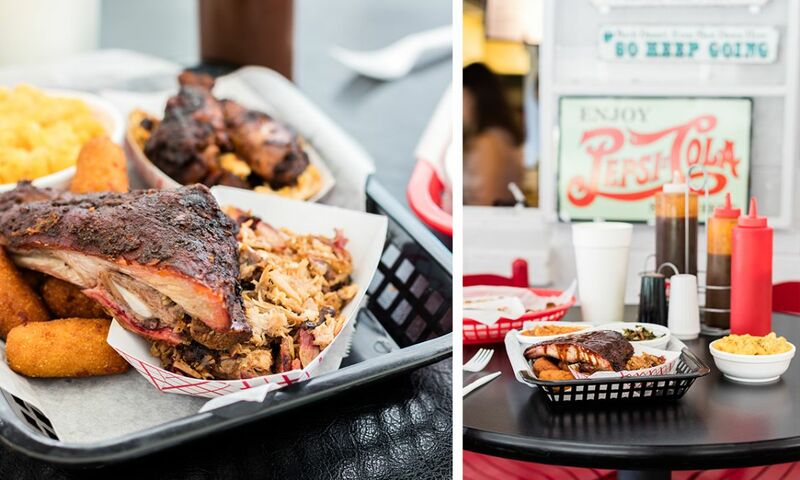 Like you want pork and fried chicken or ribs or even barbecue chicken and two sides hungry? 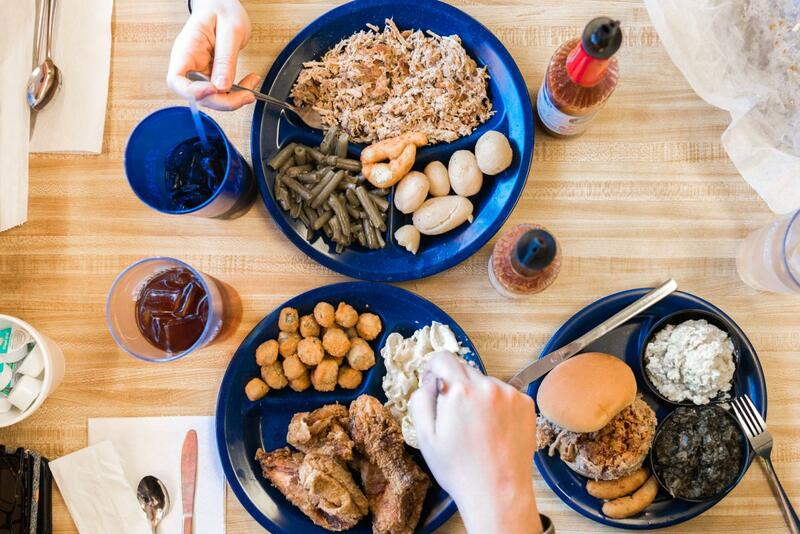 Well, a combination dinner that comes with two sides and a basket of hot hushpuppies, and your choice of barbecue and fried chicken, Brunswick Stew or chicken and pastry is only $9.99. For barbecue chicken, that’s $10.99. And if you want ribs and barbecue, that’ll be $19.99 (but worth every penny). 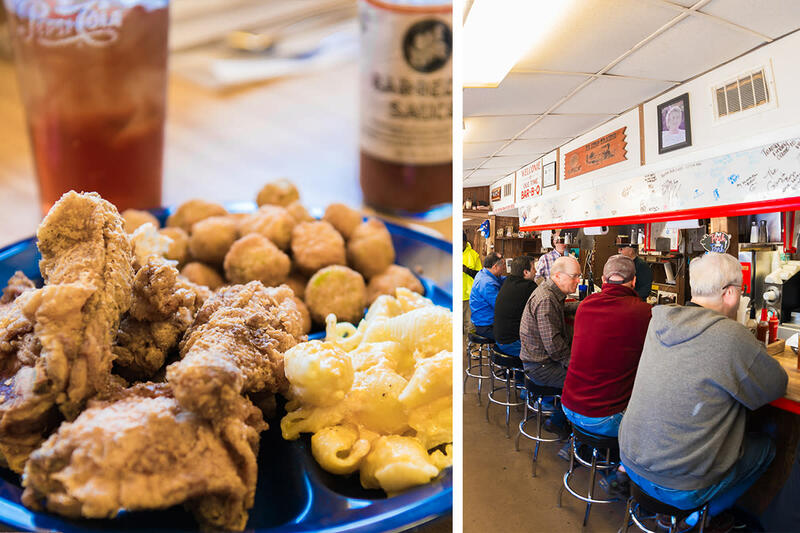 Ole Time Barbecue is just like some of those old-school barbecue joints in that they’re open early and they serve breakfast, not just so the pitmaster can eat, but so loyal customers can get their fix first thing in the morning. Breakfast is a country affair: biscuits, gravy, eggs done however you’d like as long as they’re scrambled or fried or in an omelet, hash browns, pancakes and French toast, country ham and bacon and sausage. 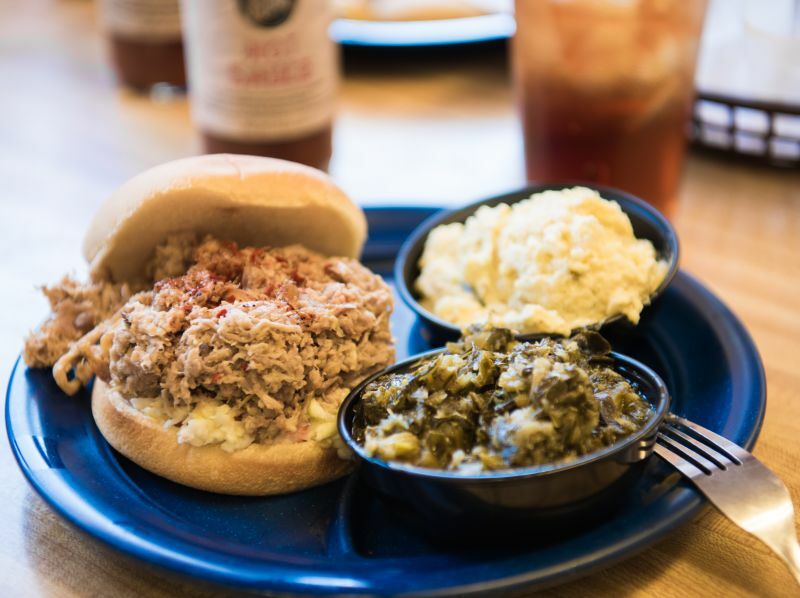 Whether you dine as the sun’s coming up or you’re in there picking up a couple of pounds of ‘cue for an at-home barbecue feast, the smoke, seasoning and salt of Old Time Barbecue shows off what’s great about North Carolina ‘cue.